Want to achieve the same types of returns that hedge funds do on a consistent basis? Even though hedge funds manage billions of dollars, they use well-known trading strategies that aim to reduce their overall market risk while simultaneously boosting their trading performance. We’ve summarised some of the most important techniques used by hedge funds to beat the market. Feel free to try them out and adopt those that match your trading style. What are Hedge Funds and How Do They Trade? Hedge funds invest in a variety of financial markets using pooled funds collected from investors. They use numerous different trading strategies to boost their performance and the return for their investors. Usually, hedge funds are only accessible to high-net-worth individuals and professional investors, as they are less regulated than other types of funds such as mutual funds. 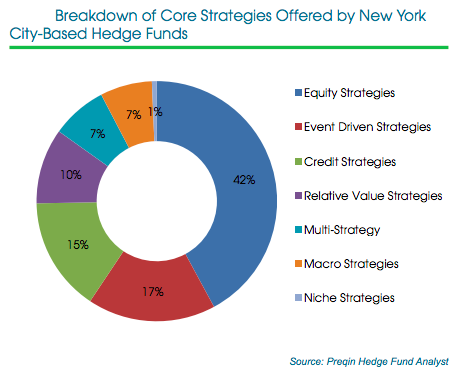 Hedge funds often use leverage, i.e. borrowed money, to increase their profits..
As long as the potential return on an investment exceeds the costs associated with the borrowed funds, trading on leverage can significantly increase a hedge fund’s return. Unfortunately, since leverage is a double-edged sword which also increases potential losses, many hedge funds have ceased business since the financial crisis of 2008. Discover How to You Can Become a Professional Trader? Hedge funds often require investors to keep their money invested for a specific period of time, often at least one year. During this period investors aren’t able to withdraw their money. This is called the lock-up period. Even after that period, many hedge funds have certain withdrawal limitations in place which are designed to boost the liquidity of the fund, and withdrawals are often allowed only at certain intervals, such as bi-annually or quarterly. It’s important to note that hedging refers to a technique of reducing market risk, but most hedge funds aim to outperform the market. Hedge funds have certain characteristics which differ them from other funds, such as mutual funds. We’ve listed some of the most important characteristics below. 1. Hedge funds invest in a wide range of financial markets. Unlike mutual funds, which are only allowed to invest in bonds and stocks, hedge funds can invest literally in all financial markets. It’s not unusual to find hedge funds that invest in real estate, commodities or Forex for example. 2. Only qualified investors are able to invest in hedge funds. 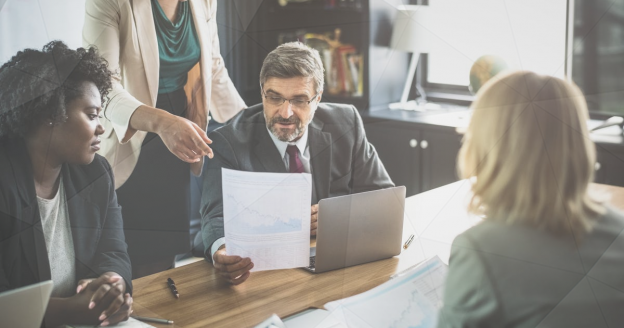 Regulatory authorities try to protect investors who are inexperienced or who don’t understand the risks associated with investing in hedge funds. High-net-worth individuals with an annual income of more than $200,000 for the past two years or with a net worth that exceeds $1 million (excluding their primary residence) are allowed to invest into these types of funds. 3. “Two and Twenty”. Hedge funds often charge their investors according to the “Two and Twenty” rule, which means that they charge both a 2% asset management fee and a $20 performance fee. 4. Leveraged trades. Leverage is often used by hedge funds to boost their trading results. However, when trades don’t go in their favour, high leverage can easily lead to excessive losses. Watch: Is Leverage Your Friend or Foe? There are many types of hedge funds, each of which tries to take advantage of certain market environments and trading opportunities. They are often classified by the investment strategy they use to trade the market. 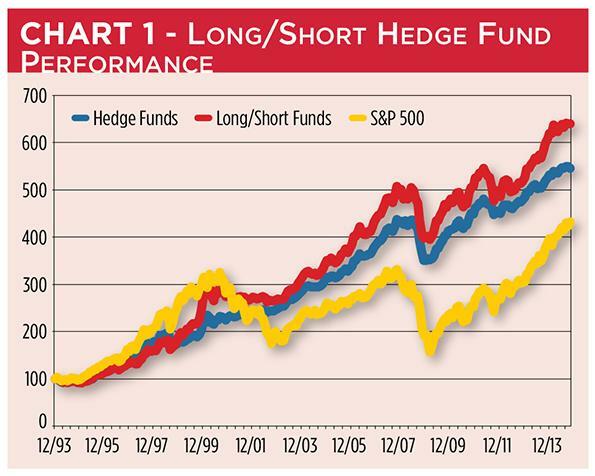 Long-short funds are the primary and traditional type of hedge funds. Long-short funds aim to go long those securities that outperform the market, and to go short those securities that underperform the market. Other hedge fund types have emerged after the formation of long-short funds which aim to take advantage of other investment strategies as well. As their name implies, event-driven funds attempt to take advantage of various market events that can influence the price of securities, such as political developments, natural disasters, macroeconomic releases and so on. Macro funds are another popular type of hedge funds which aim to profit on price fluctuations caused macroeconomic events. This type of funds invests in a number of different financial markets, such as stocks, bonds and commodities, to reduce market risk and boost overall performance. Emerging-market funds invest in securities of developing countries that have a relatively low per capita income. Since emerging market economies tend to be quite volatile, those funds are usually relatively risky but their returns can be high too. Fixed-income arbitrage funds attempt to take advantage of price differences between fixed-income securities, such as bonds, treasuries or commercial papers. Since these securities can be traded on different exchanges, fixed-income arbitrage funds try to buy them on one exchange at a lower price and sell them on another exchange at a higher price. Many hedge funds have a proven track-record of outperforming the S&P 500 benchmark to a significant extent. How do they manage to get such high returns on a consistent basis? Hedge funds use various techniques to boost their results, such as trading on leverage which has already been mentioned above. However, there are some other techniques which may also come handy to smaller retail traders. We’ve listed some of them below. 1. Using derivatives. Hedge funds often take advantage of financial derivative contracts such as options, forwards and futures. Options often trade at a fraction of the original instrument’s price and are a great way to lower certain market risks (hedge) against other open positions. Similarly, forwards and futures are often used to speculate on the future prices of certain financial instruments. 2. Long-short trading strategy. Retail traders can also benefit from the long-short investment strategy of classic hedge funds. Buy those instruments that are in an uptrend and short instruments that are in a downtrend. This way, you’ll be able create a market neutral portfolio with a high potential return. 3. Create a portfolio of trades. Talking about portfolios, many retail traders don’t understand the importance of creating a portfolio of trades with different correlations. The average retail trader has either two or three open trades at a time or no trades at all. A professional hedge fund trader, on the other hand, will try to create a portfolio of between 12-20 hand-picked trades that reduce market risk through correlation. 4. Don’t overleverage your trades. While many hedge funds use leverage to boost their performance, they still know that over-leveraging trades is a secure way to disaster. Hedge funds don’t use extremely high leverage ratios of 100:1, 200:1 or 400:1, and you shouldn’t too. 5. Perform your analysis. Hedge fund managers don’t trade based on emotions. Each trade is extensively analysed and sometimes even prepared months ahead. While retail traders don’t have the resources available to hedge funds, they can still practice their patience, learn and analyse the market whenever they have time to do so. 6. Manage your exit points. While many retail traders have a relatively high winning rate, some of them are still losing money in the market. Hedge funds cut their losses short and let their profits run. They know in advance when to exit a trade with the highest possible profit. Weekend Day Trading: Is it Possible? Hedge funds succeed to beat the market on a consistent basis by applying strict investment strategies, money and risk management rules, and extensively analysing the market for tradeable opportunities. They know that even small profits can easily sum up to a few percentage points by the end of the year and they are determined to squeeze money out of every possible market environment. While retail traders lack the resources of a hedge fund, they can still take advantage of certain hedge fund techniques such as the long-short strategy, event-driven trades, using leverage wisely and managing exit points. Most likely, you won’t reach the types of returns achieved by world-renowned hedge funds overnight, but you can nevertheless significantly boost your trading performance by following some of the points mentioned above.